My sweetest thanks to Misty for hosting this very interesting meme Camera Critters. Here's my entry for this week, cute and gorgeous little birds. I don't know the name of these cute birds. I took this pictures when I was at Wings of Paradise, Butterfly Conservatory. I think they are doves. What do you think guys? 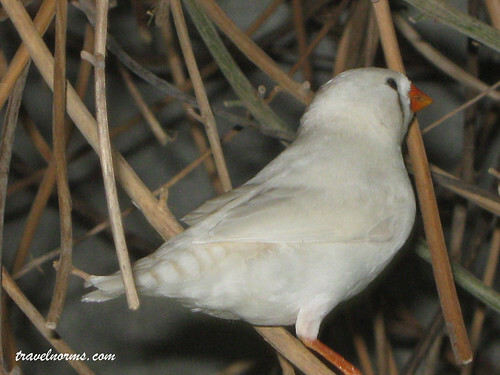 Hehehe now I know the name of this cute birds...Zebra Finches.... Wow! thanks to Indrani, Me ann, Hildegarde and Appledebbie for telling me the name of this super cute birds. Thank you also to all my friends who gave sweet messages. Don't know the name, but they are sweet little birds. Their beaks remind me of finches also but I don't know of any like this in Canada. If they were at an exhibition perhaps they were from another country? Nice looking little feathered critters though. Aww, they ARE sweet, not doves I think, but sweet birds. Your very original comment on my ant visitors makes me smile. :) Thanks! Doves ? 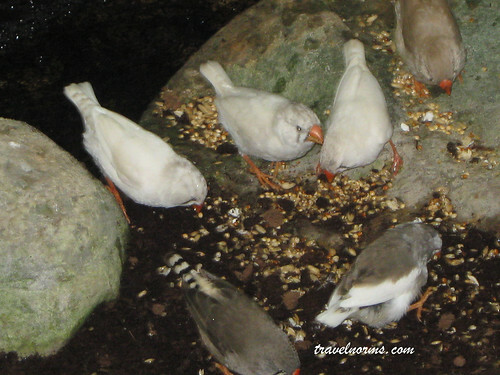 now you are teasing us :-) Some sort of zebra finches I think. They are indeed very cute ! What cute little birds! I think they may be Zebra Finches. Wonderful photos! I don't know what they are, but they are pretty. Im' not a bird expert, but they do not look like doves. i love their cute little beaks! i think dove's beaks look differnt. They are really pretty! They look so sweet. I don't what they are but I'm certain they are not doves.. I agree...definitely not doves, and probably finches...though what type of finch I can't say. Norm: Very nice photos of the finches. They definitely look like somekind of finch, and very cute. They are so cute. Beautiful little birds and great photos, too. Nice finch shots. I've been watching American Goldfinches feeding on our feeder here, changing from their yellow breeding coat, to their less colorful, but in my opinion, better looking winter plumage.